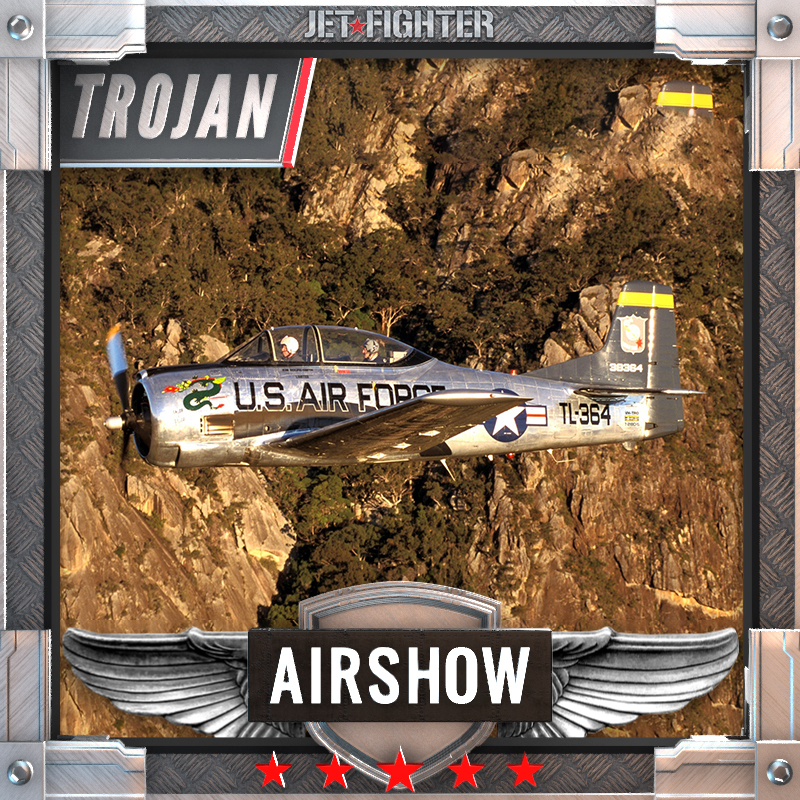 This 20 minute flight includes basic air combat manoeuvres – a reasonably comfortable flight. 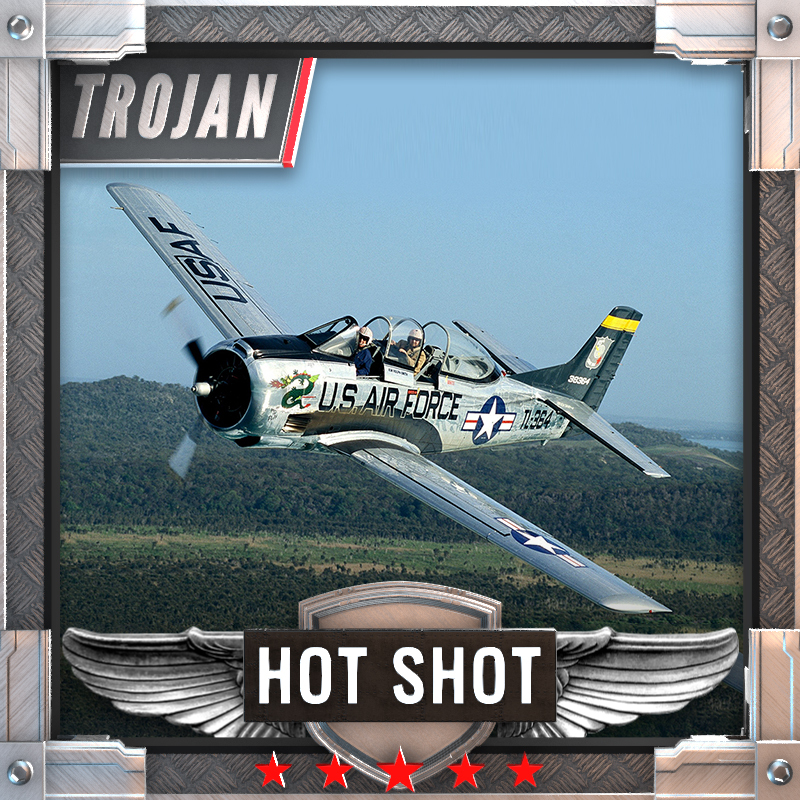 This T28-Trojan is an all-American fighter aircraft, and flying in this magnificent warbird is truly a once-in-a-lifetime experience. Let our experienced flight instructor and aerobatic display pilots take you on the journey in complete safety in this fully restored American beauty. You’ll be kitted out in full jet fighter regalia – flight suit, helmet, visor – before undergoing a full mission briefing. Together you’ll discuss the flight’s intensity, safety and communication procedures. 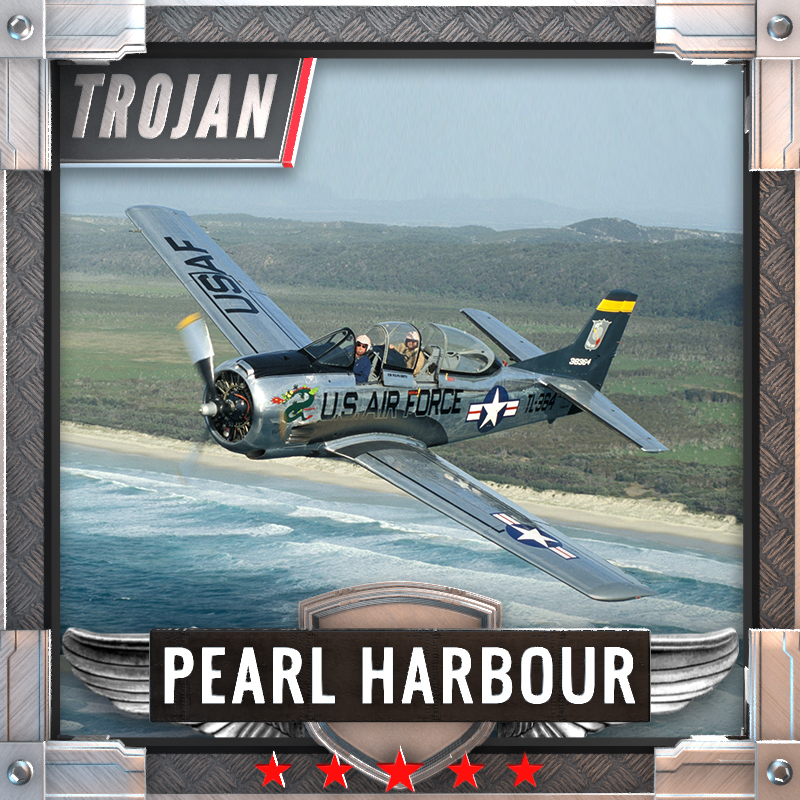 After a detailed run through of the aerobatic maneuvres, you’ll make your way out to the Trojan and strap into the aircraft. After a final run through and system check, get ready for action! 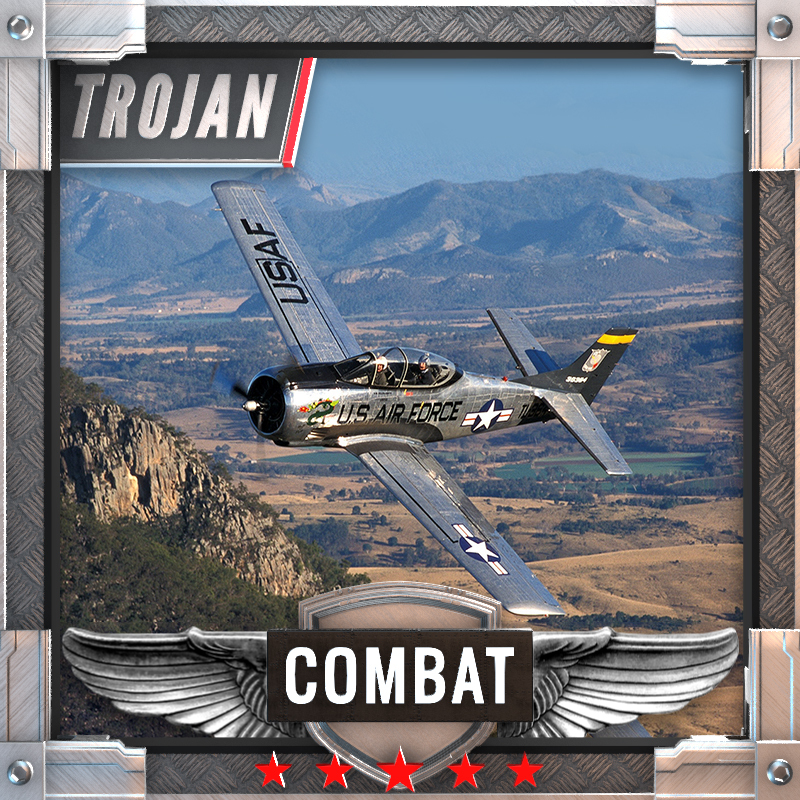 After the T28-Trojan takes off at a staggering 200 KP/H, you’ll ascend to altitude and perform air-combat maneuvres. You choose the intensity and you will be in contact with your pilot throughout the experience. Following your aerobatic display, you’ll make your way back to the airport for a de-brief and to reunite with your loved ones who will have seen a great deal of your flight from the ground. This is truly a wonderful experience for any aviation enthusiast. $890. Please call Broni on 1300 727 700 to confirm your preferred base, mission and aircraft.